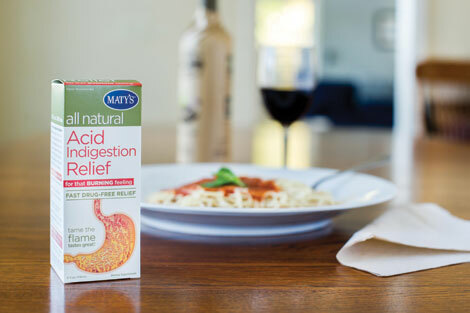 Maty’s Acid Indigestion is made from whole foods that help fight heartburn. Carolyn Harrington, a 55-year-old wife and mother, holistic practitioner and founder of Maty’s Healthy Products, looked into the eyes, soul and stomach of her husband, Bob, to treat the heartburn that he was experiencing as he entered his 50s. Through her experimenting with remedies using whole-food ingredients, she created Maty’s Acid Indigestion, a treatment she says promotes healthy acid levels that fight heartburn. In addition to increasing acidity in a good way, the combination of honey, ginger, sea salt, clover, turmeric and apple cider vinegar in Maty’s contain antibacterial, antimicrobial, antiviral, antioxidant and anti-inflammatory properties to support a healthy immune system. Harrington said her husband’s love affair with the new solution was anything but a chemical romance. Since Maty’s products are made with whole foods, you will never find ingredients such as corn syrups, hydrogenated oils, preservatives, or additives. You also need not worry about side-effects or interactions from heartburn medications, which is the fourth-most prescribed medication in America. You can find Maty’s Healthy Products online at www.matyshealthyproducts.com and at drug and grocery stores nationwide, including Kroger, Target, CVS, Walmart, K-mart and Rite Aid. Log in | 49 queries. 1.484 seconds.